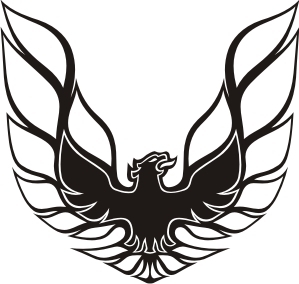 To all you restoration buffs and those of you who just liked the Old Firebird Trans Am Decal, You are bidding on 1 scaled down decal approximately 6" tall. These can be placed on the windows, doors, or an flat smooth surface. I have them in light blue, black, red, or white. I can get other colors, just ask. I prefer paypal. Leave a message in paypal on your color preference. I WILL SEND BLACK IF A DIFFERENT COLOR IS NOT SPECIFIED! I guarantee all my items. If an item is defective, I will replace it or refund your bid. Questions to: shoplakeland@aol.com Please view my other items. Thank you for bidding! !